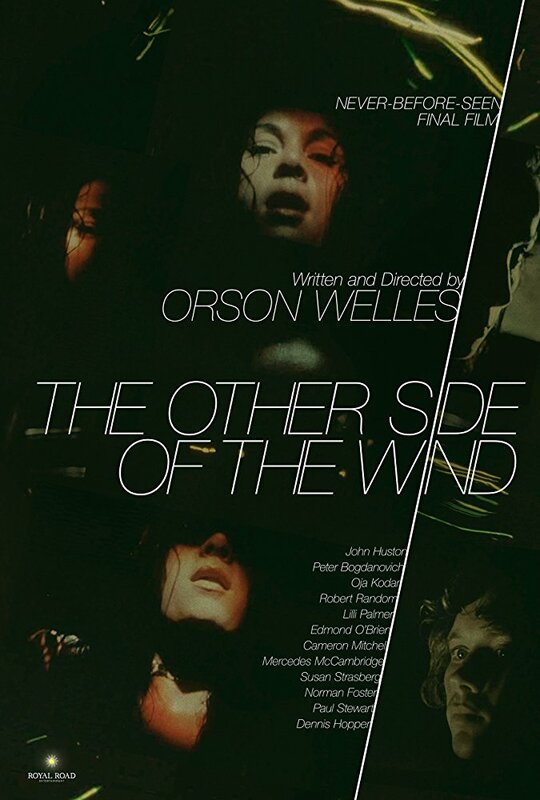 SNEAK PEEK: Orson Welles' "The Other Side Of The Wind"
Orson Welles' "The Other Side Of The Wind"
"...the film covers the 70th birthday party of movie director 'Jake Hannaford' (Huston), struggling to make a commercial comeback. It opens with Hannaford's death just after the party, and mostly focuses on the night before his death. 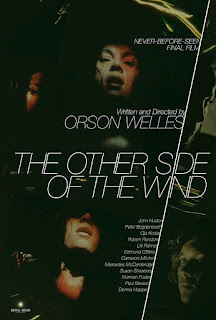 "We also see extracts of Hannaford's daring new film-within-a-film, 'The Other Side of the Wind'. 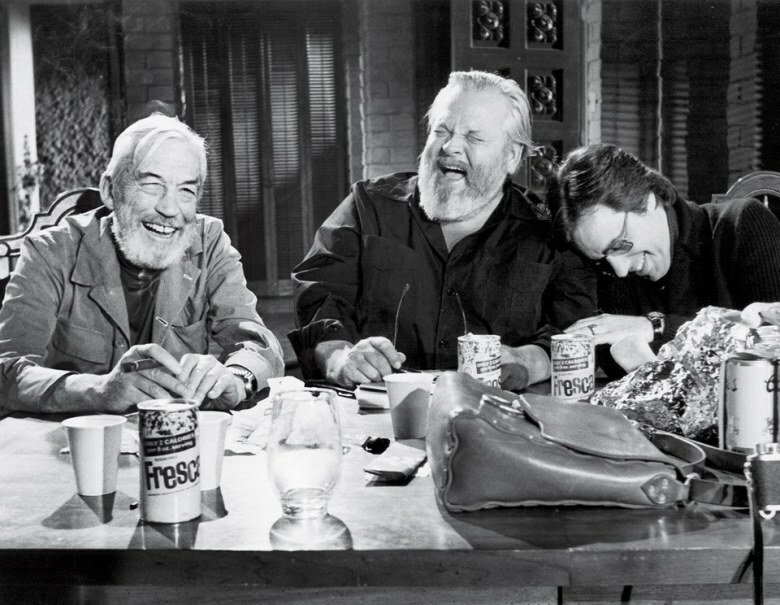 As we learn more about Hannaford at his party, the audience realizes he is a far more complex character than he seems, and harbors several big secrets..."
Welles' original six-year shoot was plagued by difficulties with production, finance and casting, as well as complex legal problems that led to the negative being impounded and the film left unfinished for over 40 years. 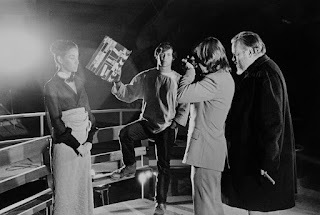 Welles had intended the film to serve as his comeback picture, heralding his return to the US after a quarter of a century of working mainly in Europe, but the film's legal problems meant that it remained unfinished at the time of his death in 1985. 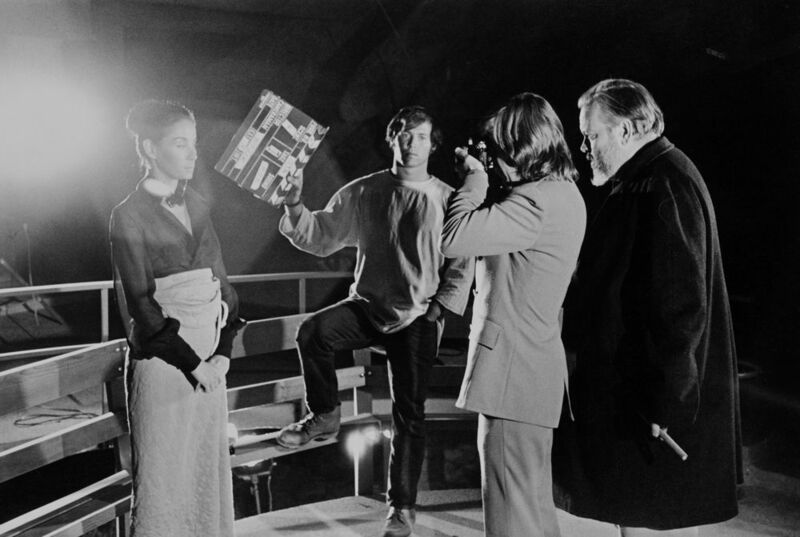 The film was shot in a variety of different styles—color, black-and-white, still photography, 8mm, 16mm and 35mm film, all rapidly intercut together in a collage of styles.